LAMBDA is the manufacturer and supplier of lab scale peristaltic liquid pumps and tubing pumps, all over the world. We supply the chemical industry, universities, pharmaceutical & food companies with modular laboratory equipment for process optimization, research and development. For your orders and the fastest delivery of the tubing pumps to your laboratory, please contact us directly at sales@lambda-instruments.com. Fastest delivery - directly from the manufacturer! We know, it is important for our customers to purchase the needed instruments for their work as quick as possible. So, we maintain a large stock of instruments, in order to be able to quickly set them up in the desired configuration and to dispatch them in shortest possible time! 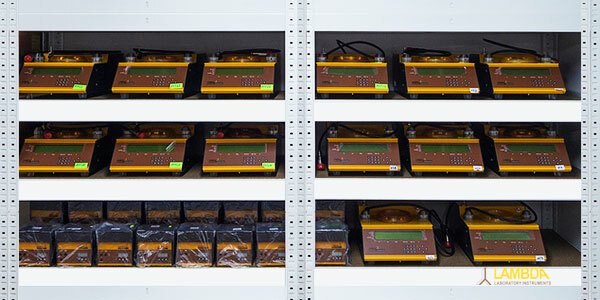 We have the peristaltic pumps in stock and we guarantee the delivery in few days! For order, price request or quotation (RFQ), you can contact us directly by email or visit our e-shop at www.peristalticpump.info/e-shop. LAMBDA's strategy is to supply customers with high quality instruments at a reasonable cost. Therefore, LAMBDA laboratory instruments are maintenance-free and does not need regular service. If you still have problems with our laboratory equipment, we offer professional technical advice on phone and / or internet. The test program integrated in the LAMBDA product locates the problem. If a repair is necessary, the defective part of the delivery service is sent directly to our production and control center. For the best possible service, we also use our know-how techniques, the original spare parts and specially trained & competent personnel, in addition to our equipment in the manufacturing facility. 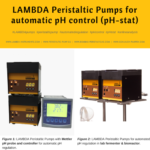 To request prices of lab peristaltic liquid pumps or quotation, please contact us at support@lambda-instruments.com. We have the LAMBDA laboratory peristaltic pumps – tubing pumps in stock. Variable speed LAMBDA peristaltic dosing pumps for highly reliable pH regulation! How does it work?